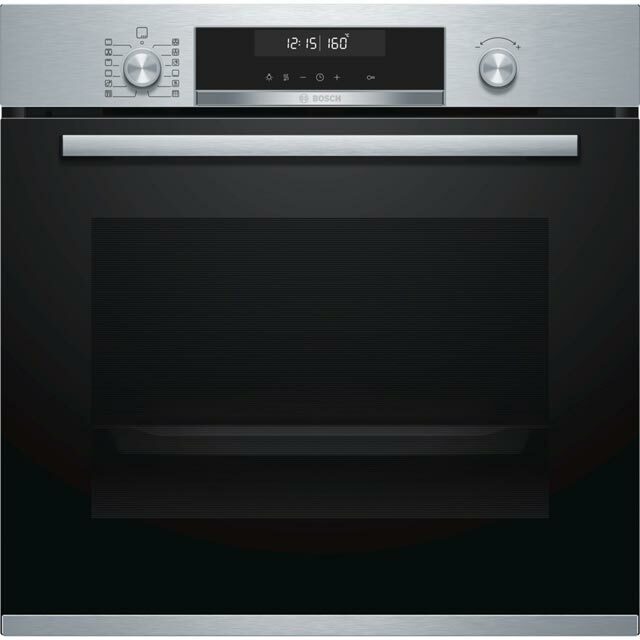 Breathe new life into old recipes with this built-in electric single oven from Bosch. This multifunctional model gives you a variety of cooking options to experiment with, so you can perfect your dishes. The clever 3D Hot Air system evenly circulates heat inside too, which thoroughly cooks your food and prevents flavours transferring inside when you’re preparing multiple dishes at once. 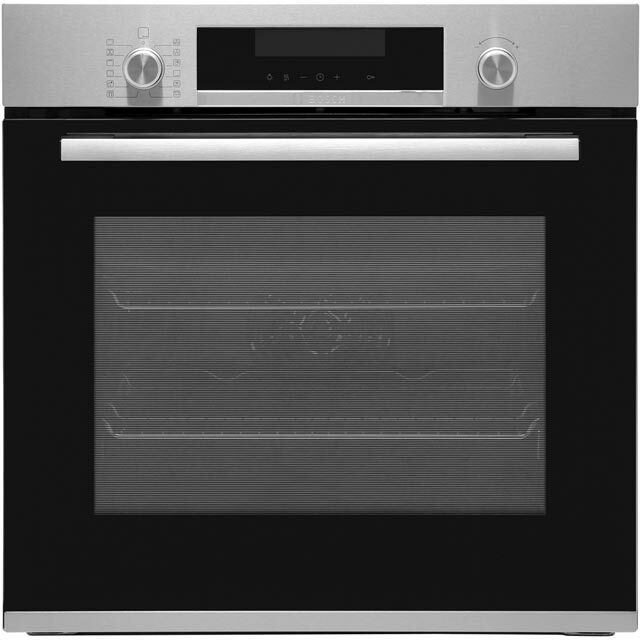 With its 30 AutoPilot programmes to choose from, the hard work is taken out of cooking, as it automatically sets the perfect time and temperature for a range of dishes. Once you’re finished impressing your dinner guests, the pyrolytic cleaning function will burn away any grease splatters to ash inside, which can be easily wiped away. This model is designed to fit at eye level or under a worktop. Cooks food to perfection. Easy to use and very stylish. I really like this oven. It has some great design features, including a slide out grill tray on runners to hold it in position as it is fully extended. The touch glass display for features such as the light and timer are really neat and the self-clean feature is fantastic. Not the cheapest oven but the quality does explain the price tag. We had a great experience with our AO stove order. The order and delivery were flawless and the stove itself is great. Really easy to use and highly functional. I like the mix of the manual dials and the digital face. The oven is a great size and came with racks and roasting pan. It seems to be really efficient heat-wise and heats up quickly. Really happy with the process and the product. * HBA5780S0B_SS was at the higher price between 28/11/2018 and 10/04/2019.